While delivering my daughter, I suffered a primary postpartum haemorrhage (PPH). I knew it was likely, because due to my EDS I’m prone to bleeding and have weak connective tissues. However, during my recovery in the postpartum period, I was surprised by how little others knew about PPH, but I understood every mother’s fear about suffering excessive bleeding. 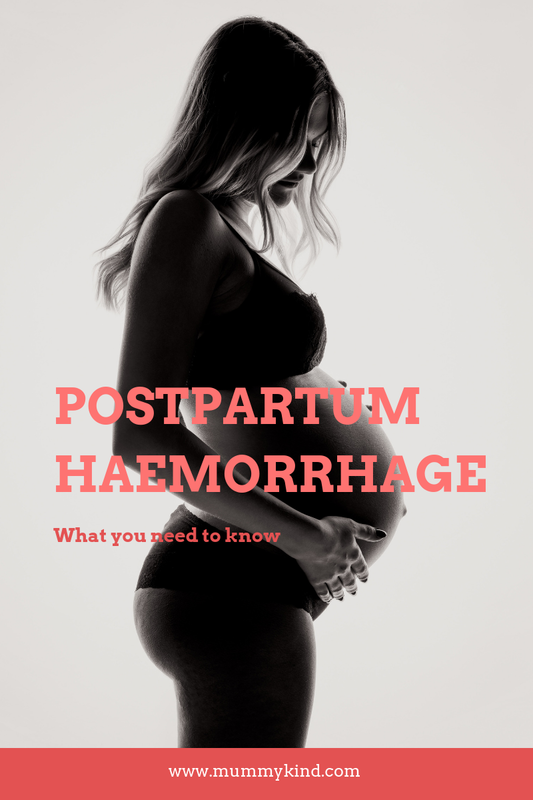 Here’s what you need to know about postpartum haemorrhage. 1) Primary – this occurs within the first 24h after giving birth, and affects 5 in 100 women. A severe primary haemorrhage is much more rare. This affects 6 in 1000 women, and involves losing more than 2L of blood. 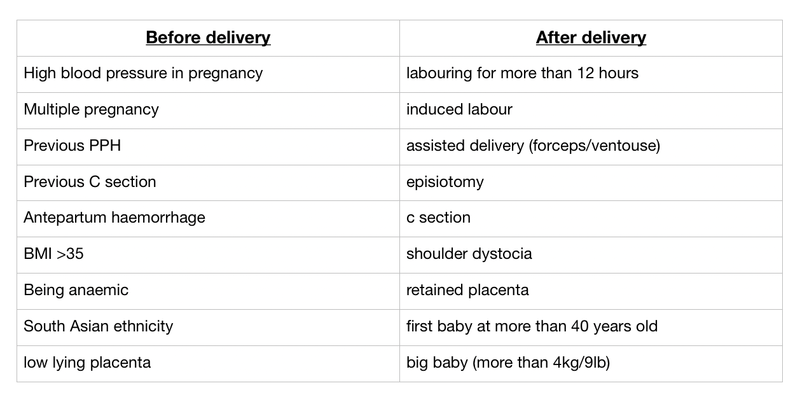 2) Secondary – this occurs between 24h and 12 weeks after delivery, and affects 2 in 100 women. A PPH happens most commonly because the womb doesn’t contract strongly enough after birth. It also happens because part of the placenta was left in the womb (retained placenta), or because of an infection in the lining of the womb (endometritis). During labour you will be offered an injection of Oxytocin as your baby is being born to stimulate contractions to help deliver the placenta. How will having a PPH affect me? PPH is managed in different ways depending on the severity of the bleed. Treatment can involve massaging the uterus to stimulate contractions, inserting a catheter to empty the bladder to help the uterus contract, injections to make the uterus contract (which may cause nausea) and checking to make sure there is no retained placenta. If bleeding continues heavily, blood transfusions or surgery may be required. The NHS has a fabulous leaflet with more detailed information on more detailed management of PPH here. While the concept of a PPH is scary, the reality is that doctors and midwives are trained in controlling heavy bleeding, and bleeding after childbirth is quite normal. Have you experienced a PPH or know someone who has? Let us know your story below. Scary is definitely the right word! I think it’s tricky as no matter how prepared you are, it’s still totally natural to panic when it happens! I definitely agree, the uterine massage was more painful than some of my contractions! Thank you for sharing this great information. I had mild post-partum hemorrhage after having my twins via c-section. It was definitely scary and sent me back to labor and delivery to get an ultrasound and having to be put on medication to stop it. It’s nasty isn’t it! Luckily nowadays we have medication to help stop it, I can’t imagine having delivered my daughter 100 years ago! This is very important info. Especially for doulas or women planning a home birth. Thanks for this educational post!